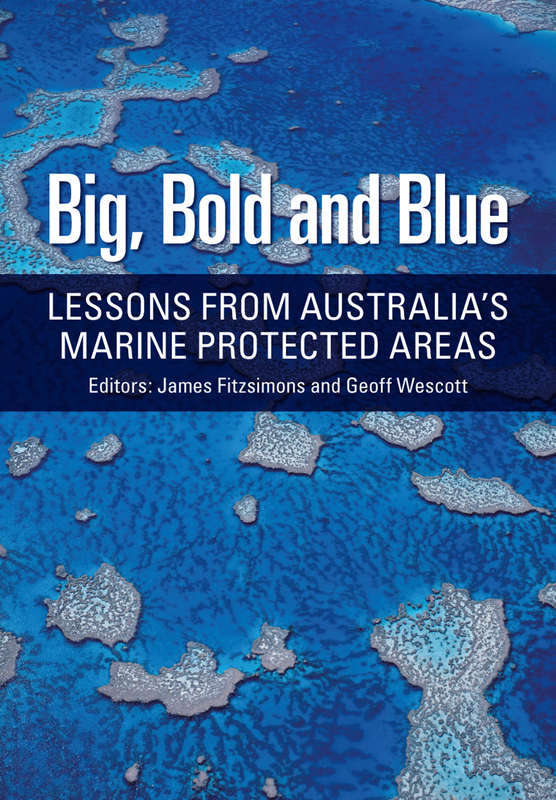 This impressive book, edited by James Fitzsimons and Geoff Westcott, provides a comprehensive description of progress with establishing networks of marine protected areas (MPAs) in Australian Federal and State government waters. The book starts with a foreword by Australian author Tim Winton that highlights the reasons why interest in MPAs has risen in recent years. Winton eloquently describes the abundance of marine life in his youth and the subsequent loss through overfishing and pollution. This sets a poignant context for the more academic writing that follows. The book extends over 432 pages and is organised around 5 parts. Part One provides the broader international and national context for what follows in the rest of the book. Part Two describes the evolution of the current MPA system, with separate chapters for different geographical regions including Federal waters, the Great Barrier Reef, Antarctic and Sub-Antarctic waters and state/territory jurisdictions. Each chapter contains a description of how the MPA network was established and what it currently consists of. The information is presented in a clear and logical manner and the text is well illustrated with high-quality maps, photographs and tables. Each chapter distills key success factors and lessons learnt from the experience in that region. These are particularly instructive for those seeking to achieve the establishment of MPA networks in other places. Part Three touches on some key themes crosscutting the regional case studies including the various legislative frameworks providing for MPAs, the assessment of economic impacts, the application of science, and gaps and priorities for the future development of the national network. Part Four focuses on a range of sector perspectives on MPAs including indigenous peoples, public views (based on surveys), recreational fishers and commercial fishers. Included here is also a chapter focused on broader issues such as the link between MPAs and marine bioregional planning and oceans policy. 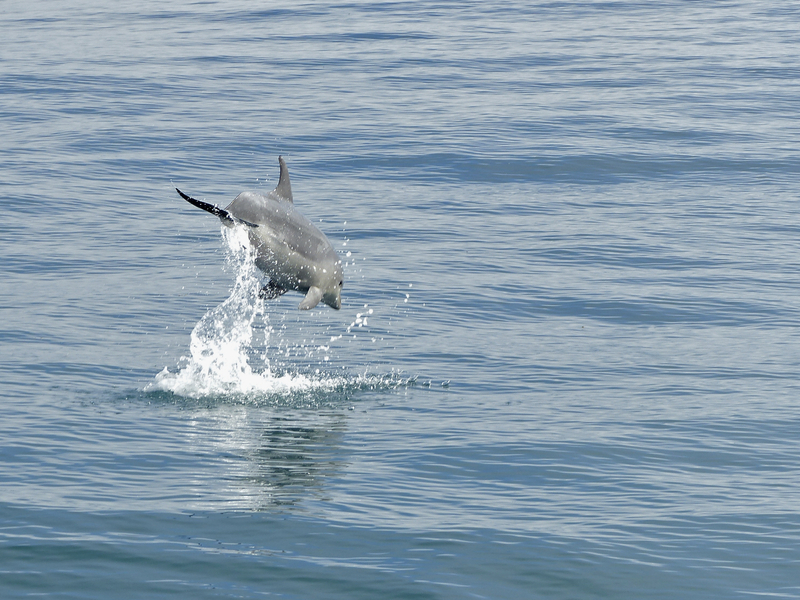 Part Five includes a concluding chapter that seeks to synthesise the lessons that can be learnt from the expansion of Australia’s marine protected areas network. There are a few matters that might have received more attention. The description of an Indigenous peoples perspective appears quite late in the piece (chapter 18) and might have more appropriately been placed upfront to frame the discussion. Although there is a chapter focused on legal frameworks, the organisational structures required to support the establishment and management of MPAs are not well explored, nor is the ongoing challenge of managing such large networks over time. The political dynamics that surround MPA creation, and the strategies used to successfully marshall proposals through to fruition, could also have been usefully explored further. But these are relatively minor matters and, overall, the book provides a well-documented, comprehensive and very useful account of the state of play with MPA creation in Australia. It incorporates a wide range of perspectives and relevant issues. It distills many decades of experience over a variety of government jurisdictions. It is beautifully presented and will be a welcome addition to the libraries of many with an interest in marine protection and ocean health more generally. 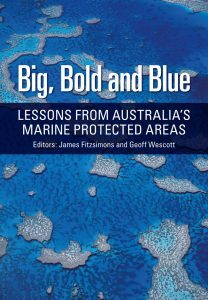 Big, Bold and Blue is published by CSIRO Publishing and retails for AU $89.95. Dr Raewyn Peart is a policy director at the Environmental Defence Society and the author of The Story of the Hauraki Gulf.